BBC has released its title video for the forthcoming Beijing Olympics broadcasting campaign. 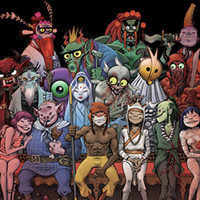 The video, created by Blur and Gorillaz members Damon Albarn and Jamie Hewlett, is based on the Chinese classic literature Journey to the West. The pair’s opera Monkey: Journey to the West was premiered in last year’s Manchester International Festival, and is now at Royal Opera House. First performed in the UK at the inaugural Manchester International Festival in 2007, following sold-out runs, Monkey: Journey to the West is a new opera for the 21st century directed by the world renowned Chen Shi-Zheng with music composed by Gorillaz award-winning mastermind Damon Albarn and design and animation by Jamie Hewlett based on the ancient Chinese legend of spiritual enlightenment. This reworked version is a dazzling spectacle involving nearly 40 circus acrobats, martial artists and singers from China with an orchestra of Western and traditional Chinese instruments. Performed in Mandarin with English surtitles, Monkey is a thrilling experience, an unforgettable sensual and spiritual journey. 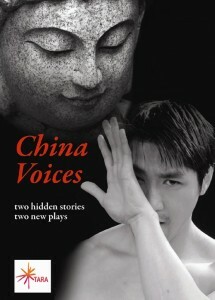 China Voices – two hidden stories, two new plays. M.T.W. in association with TARA, presents China Voices, a double bill of exciting new plays, directed by British Chinese director Jonathan Man. As part of CHINA NOW, the UK ’s largest ever festival of Chinese culture, China Voices is playing at Tara Studio in Earlsfield, South London, at 7:30pm, Friday 25 & Saturday 26 July 2008. Wolf in the House by Simon Wu is a psychological drama set on a stormy night in Hong Kong. A university professor on the Star ferry invites a young man from mainland China back to his smart flat. But this is the Festival of the Hungry Ghosts, and as we get to know the two men all is not what it seems. The Home Office has published the draft of the new Immigration and Citizenship Bill, an overhaul of all immigration laws. In the new bill, which is open for public consultation, current forms of purpose-based visa and duration-based bisa will be replaced two types of immigration permission - temporary and permanent permissions. A qualifying period will be required for those wish to become British citizens, the length of which will be longer than currently required but also vary depending on whether the applicant is actively involved in the community and abiding the laws. The English requirement and knowledge of British life have already been highlighted in recent legislations. The Bill is expected to be passed through the Parliament next year and take effect from 2011.